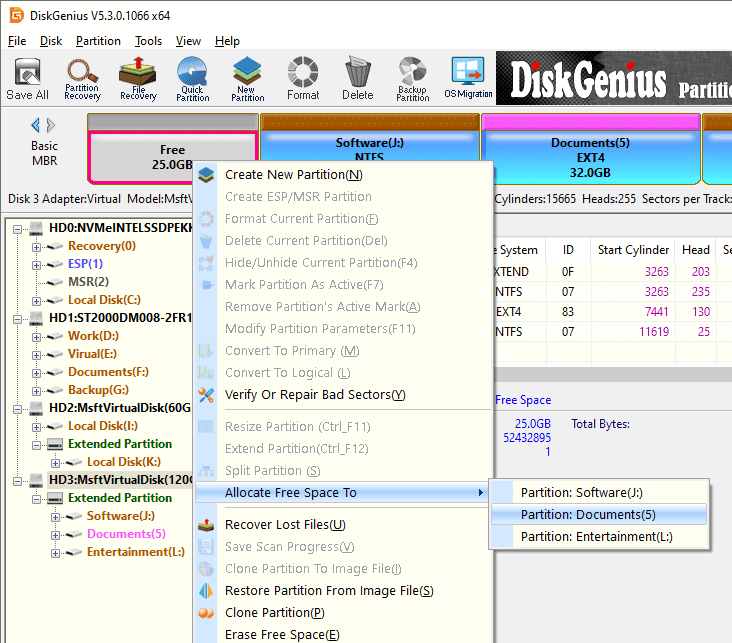 DiskGenius can help you add unallocated or free disk space to any existing partition without losing data. Unallocated disk space can be added to partition no matter whether it is adjacent to the free space. Step 1 Locate and right-click on free disk space and select Allocate Free Space To option. Then you can choose the partition to which you want to add the free space. Step 2 DiskGenius shows operations to be done and things you should note. Click Yes and it starts to move disk space to specified partition. Step 3 Click Complete when the process is done.